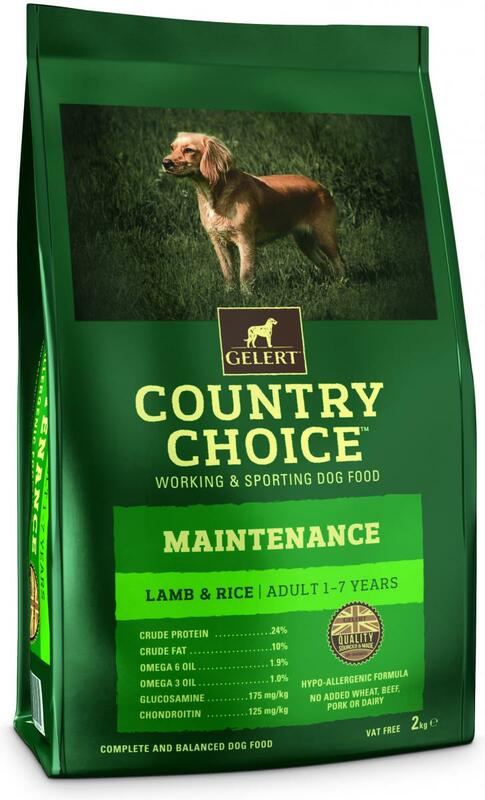 Gelert Country Choice Maintenance contains just the right amount of protein, carbohydrate and fat to help sporting and working dogs to take full advantage of their training regime. 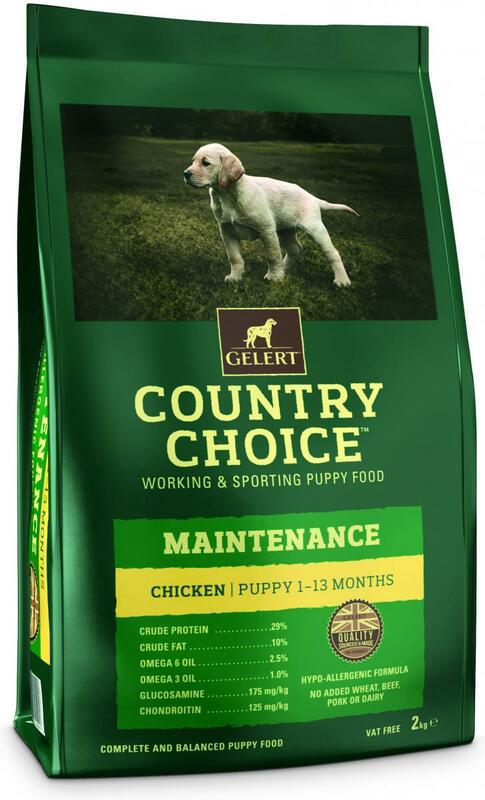 This balanced diet is for use all year round and plays a large role in your dog's ability to perform and their general health. Available for both adult dogs and puppies. 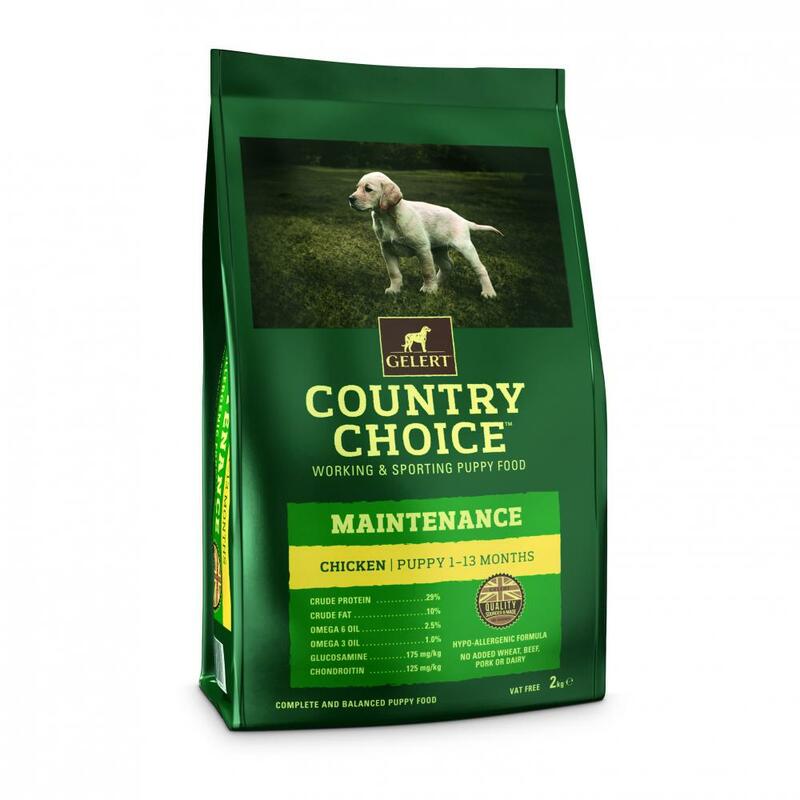 It contains either chicken, fish or lamb as the protein and rice as the carbohydrate, both of which are easily digested. 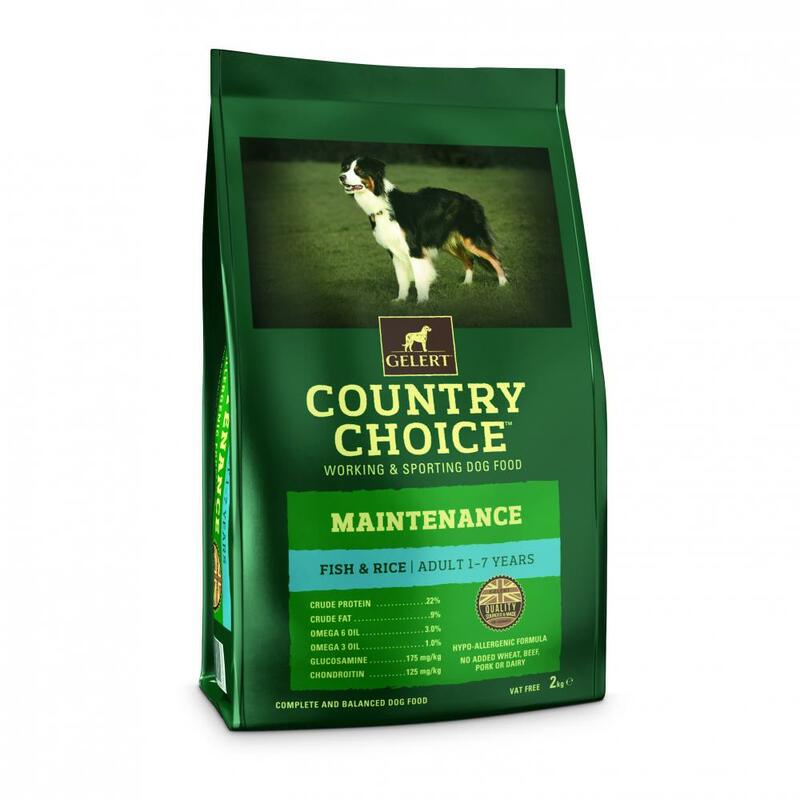 Linseed oil is included as a rich source of Omega 3, the prebiotic MOS to promote a healthy gut, cranberries to support the urinary tract, Yucca to reduce odours and flatulence, Zinc for a healthy skin and coat, and Glucosamine and Chondroitin for joint health. 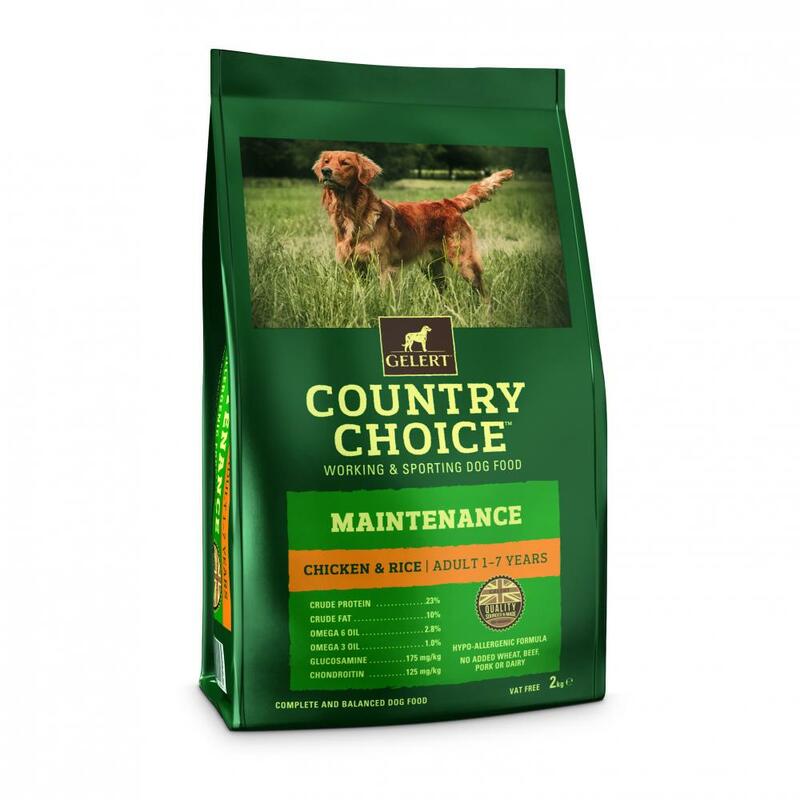 The diets contain no added wheat, beef, pork or dairy products. White Rice (35%), Fishmeal (20%), Maize, Barley, Oats, Fish Oils (7%),Dried Brewer’s Yeast, Fish Digest (1%), Minerals, Prebiotic MOS (Mannan-Oligosaccharide), Glucosamine (175 mg/kg), Chondroitin (125 mg/kg), Yucca Extract (500 mg/kg), Cranberry (100 mg/kg). 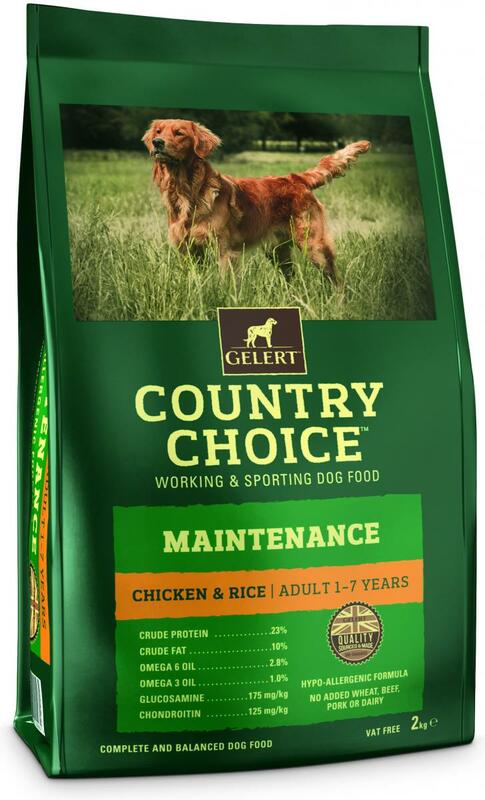 White Rice (30%), Chicken Meat Meal (20%), Maize, Dried Maize Protein (15%), Barley, Dried Brewer’s Yeast, Chicken Fat (5%), Flaxseed Oil (1.5%), Chicken Digest (1%), Minerals, Prebiotic MOS (Mannan-Oligosaccharide), Glucosamine (175 mg/kg), Chondroitin (125 mg/kg), Yucca Extract (500 mg/kg), Cranberry (100 mg/kg). Vitamin A 19,000 IU, Vitamin D3 1,360 IU, Vitamin E 186 IU. Zinc Chelate of Amino Acid Hydrate 253 mg, Zinc Sulphate Monohydrate 147 mg, Ferrous Sulphate Pentahydrate 76 mg, Manganese Sulphate Monohydrate 59 mg, Cupric Sulphate Pentahydrate 30 mg, Calcium Iodate 1.86 mg, Selenised Yeast (inactivated) 66 mg. 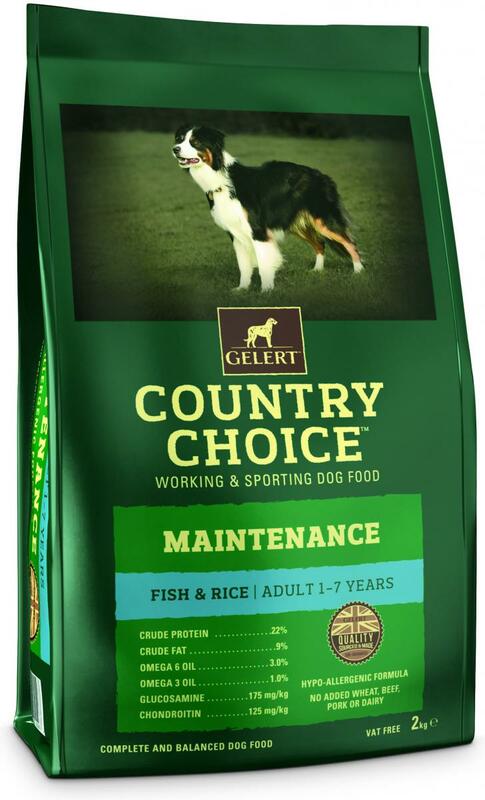 There are currently no questions for Gelert Country Choice Maintenance Dog Food - be the first to ask one!